President Maithripala Sirisena has refused to accept the second vote on the no confidence motion yesterday, setting the stage for the constitutional deadlock to continue into next week. Despite three weeks lapsing since President Sirisena replaced sitting Prime Minister Ranil Wickremesinghe with former President Mahinda Rajapaksa, the constitutional crisis remains at a stalemate with the Executive refusing to accept the decisions of Parliament. “The President’s statement clearly said to follow Standing Orders, and what happened today is not that. The President is not going to accept the vote as procedure was not followed,” Sri Lanka Freedom Party (SLFP) MP Dayasiri Jayasekara told Daily FT.
“We have to first see what happens with this no confidence motion before we think about the next Prime Minister. We know very clearly, although the no confidence has 122 signatures, Ranil Wickremesinghe does not have 113 votes. Sri Lanka Freedom Party has a plan. Let’s see how it goes,” he added. Sri Lanka Podujana Peramuna (SLPP) member and MP Lakshman Yapa Abeywardena also confirmed that the President had refused to accept the results of the vote when it was sent to him in a fresh document by the Speaker’s Office. 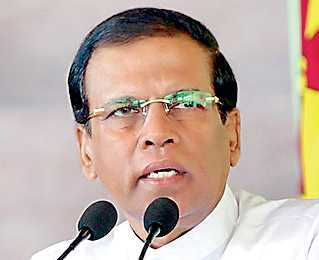 “The President told us he will not appoint Ranil Wickremesinghe as Prime Minister again. He told us he will not accept today’s no confidence motion as proper procedure was not followed. He also told us to show our majority in the next few days,” Lakshman Yapa Abeywardena told reporters after meeting with the President.